Design’s dynamic duo “Eventually everything connects people, ideas, objects, etc. … the quality of the connections is the key to quality per se.” – Charles Eames “… everything hangs on something else.” – Ray Eames Nothing says modernist perfection like an Eames design. 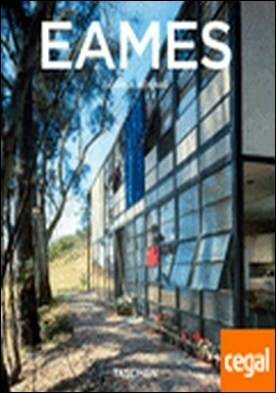 Though they are best known to the general public for their furniture, the husband and wife duo of Charles and Ray Eames (1907-78 and 1912-88, respectively) were also forerunners in the fields of architecture, industrial design, photography, and film. This book covers all the aspects of their illustrious career, from the earliest furniture experiments and molded plywood designs to the Case Study Houses to their work for Herman Miller and films such as the seminal short, Powers of Ten.